This month we will take you to the Port of Trieste. Located along the Adriatic coast, this Italian port handles all types of cargo, has excellent rail links and operates also as a free port. Let’s have a closer look at this interesting port! ESPO: Can you briefly tell us about the Port of Trieste? What are its main characteristics and challenges? Port of Trieste: The Port of Trieste can be considered as the only Italian port with an international outlook, thanks to daily rail links to all major European destinations. A natural deep sea floor – up to 18 metres deep – suitable for the latest generation of container ships and excellent high-frequency intermodal connections to manufacturing and industrial hubs in north-east Italy and in Central and Eastern Europe, make Trieste the ideal access point for trade to and from the Far East and throughout the Mediterranean. Trieste has made multi-sectoriality its strength: it is the leading Italian port for handling all types of cargo, the leading oil terminal in the Mediterranean and a major European access point for Ro-Ro traffic from Turkey. But first and foremost, Trieste is the leading Italian port for train traffic, which has grown by 68% in 2014-16, with over 7,600 trains handled in 2016. ESPO: Seven years ago, the ports of Trieste, Venice, Ravenna, Koper and Rijeka established the North Adriatic Ports Association (NAPA). Can you briefly explain us why NAPA was created? What has been achieved so far in the framework of NAPA? Port of Trieste: NAPA was created in order to boost synergies when carrying out promotional activities at many different levels (regional, national, European, international) and for various other purposes. The first goal is to turn the North Adriatic ports into the main European logistics platform for traffic from the Far East to Europe and to and from Central and Eastern Europe. Another goal is the development of joint lobbying towards national governments and other public entities in order to simplify and harmonise regulations as well as timing and procedures governing port operations. Right from the start, NAPA has demonstrated the validity of its strategy, based primarily on the competitiveness of the ports, but also on the spirit of cooperation, developed at national, European and international levels. ESPO: The Port of Trieste operates as a free port. Can you briefly tell us more about the free port concept? What are the main benefits of being a free port to the Port of Trieste? Port of Trieste: The free port is a unique feature at the international level, with numerous advantages such as major customs and tax incentives. The port has five Free Zones, regulated by the International Peace Treaty of 1947. The Free Zones of Trieste, a unique feature in the Italian and European legal system, give various advantages to goods in transit (to be stored or processed), because they are in an area subject to European Union customs. For this reason, a special customs regime applies. The customs clearance exemption entails a number of favourable conditions: goods arriving from non-EU countries, for example, can be unloaded and stored (without time limits) without paying customs duties, VAT and other import charges until such goods cross the borders of the free port to be imported into Italy/EU countries. All kinds of goods, both EU and non-EU, may be stored indefinitely, the customs origin of goods can be retained, and the free port can be home to any kind of industry, trade or ancillary activities. 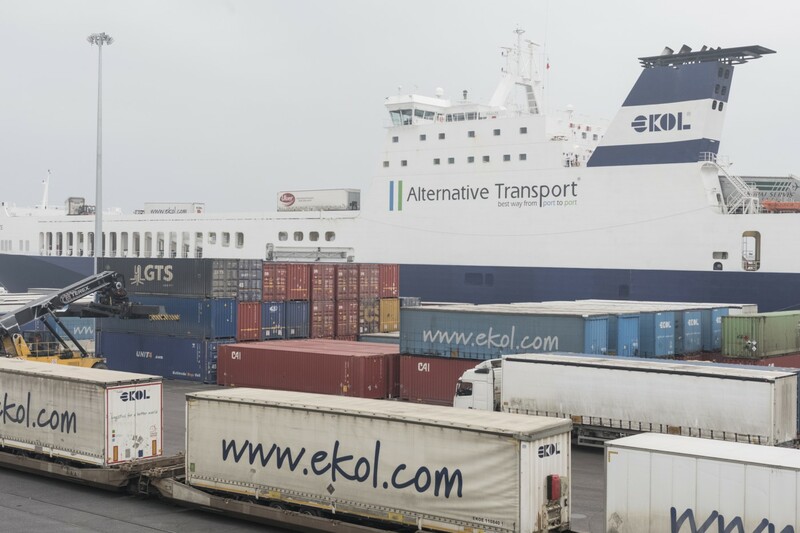 Other benefits of the free port include harbour duties that are lower than in other Italian ports, simplified transit for commercial vehicles directed abroad, and vehicle tax exemption for international vehicles. ESPO: Trade with the Far East plays an important role in the Port of Trieste. In 2013, China revealed its Maritime Silk Road, which is part of the broader “One Belt, One Road” initiative and links China with Southeast Asia, the Middle East, and Europe via sea. Is this initiative relevant for the Port of Trieste? Port of Trieste: Trieste is at the intersection of the TEN-T Adriatic-Baltic and Mediterranean corridors. Thanks to its naturally deep sea floor (18 m), it can host ocean liners from the Far East, and it has railway links to all of Europe. As such, it is the natural European terminal for the Maritime Silk Road initiative. 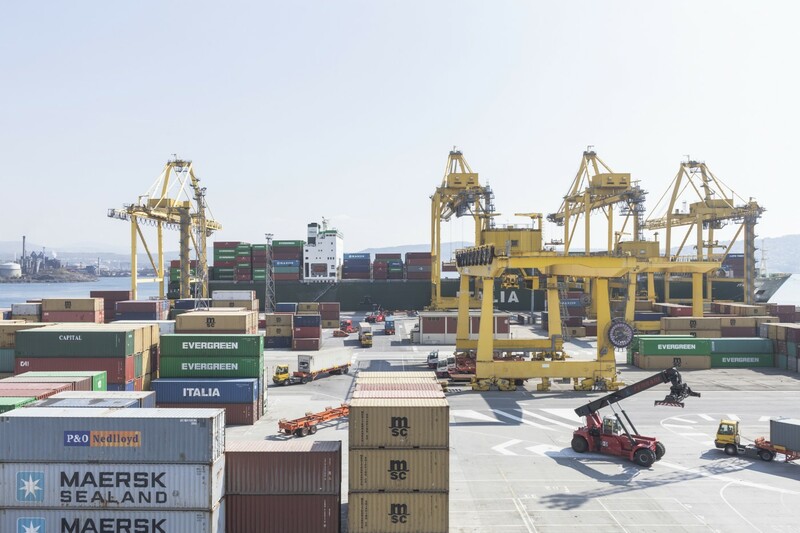 The Port of Trieste has recently signed a major cooperation agreement with the Port of Duisburg, one of Europe’s leading ports and boasting a strategic position along the land-based Silk Road. About 25 trains leave Duisport every week bound for China. Thanks to the agreement, Trieste obtains access to the northern Silk Road through Duisburg, while Duisburg is linked to the Maritime Silk Road through Trieste. ESPO: Rail services and links play a vital role in the Port of Trieste. Could you briefly tell us how the port is connected with the hinterland? Port of Trieste: The Port of Trieste is the only Italian port with direct international connections. We have links with the manufacturing and industrial areas of north-east Italy and Central Europe. Different destinations in Germany, Austria, the Czech Republic, Hungary, Slovakia, Switzerland and Luxembourg serve a developing and highly organised economic hinterland. All docks are served by rail with the possibility of shunting and/or assembling freight trains directly in the various terminals. A direct junction and a flyover within the port area grant easy access to the international motorway and national road networks. ESPO: The Port of Trieste is located near the city centre, a good relationship with the local community is therefore important. What is the added value of the port to the city? How is the port engaging to integrate itself more towards the local community? Port of Trieste: The port is an integral part of the city. It is becoming increasingly open to citizens thanks to the Open Day initiative that allows hundreds of visitors to experience what happens on the docks and what the various port workers do. The fifth edition of the Open Day was staged this year and it was an unprecedented success in terms of attendance. We also collaborate with research centres. We believe that innovation is a major driver of development. But we are also investing in protecting our cultural heritage, and the restoration of Porto Vecchio is one such effort. ESPO: The first day of the ESPO Conference 2017 in Barcelona focused on “Climate”. Does the Port of Trieste have its own climate agenda? What are the other main environmental policies? Port of Trieste: We pay special attention to environmental sustainability thanks to our management system certified with ISO 14001:2015. Our environmental policy aims at reducing atmospheric pollution, by implementing rail intermodality and strengthening the use of renewable sources of energy as well as energy saving and efficiency. The monitoring of the main environmental components (atmosphere, underground and coastal waters, flora, fauna, land and sea ecosystems, and noise) of the Port Strategic Plan will be finalised soon. ESPO: ESPO is a partner of PORTOPIA, an FP7 project that aims to measure port performance. What is Trieste’s approach for measuring the port’s performance? Port of Trieste: We believe that the performance of a port cannot be measured solely in terms of TEUs or tonnage. A modern port should also be evaluated in terms of its train handling and rail links. Furthermore, we believe that measuring performance should also take into account the port’s ability to create value for the local area. In two years, we hired over 220 people. For us, human resources – our port workers – come before numbers. These are our core values: not so much how many more TEUs we transport, but the jobs generated by the port in the local area.